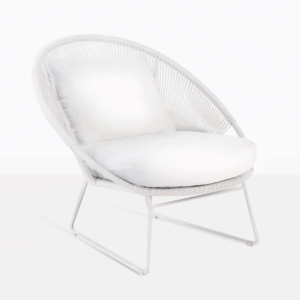 Desire a relaxing chair with a fun and stylish look to freshen up your outdoor space? 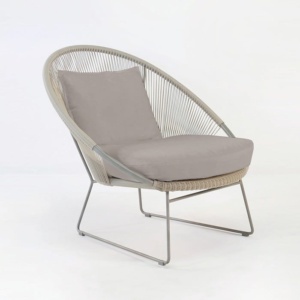 Then the Natalie Rope Relaxing Chair is a brilliant choice! 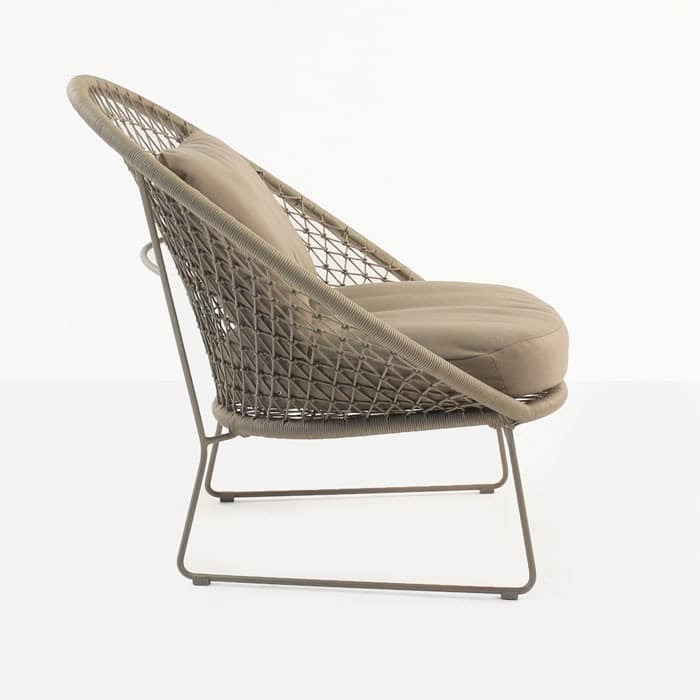 Not only is it stunning and eclectic, it is made with premium and durable materials. 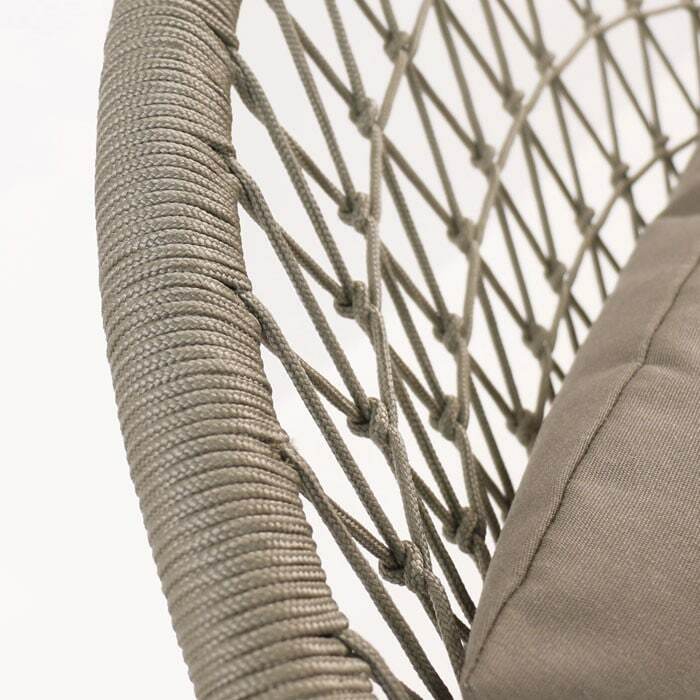 Rope made of polypropylene fibers is carefully hand woven into a beautiful pattern on a powder-coated steel frame. These materials are strong and perform well outdoors. The Natalie Rope chair is a fabulous outdoor lounge chair for your outdoor space. 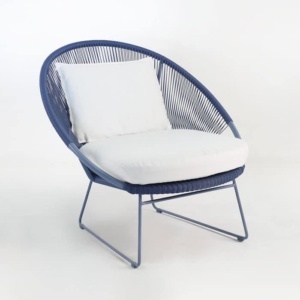 It’s angled back and large rounded seat with Sunbrella cushions make this an extremely comfortable chair. 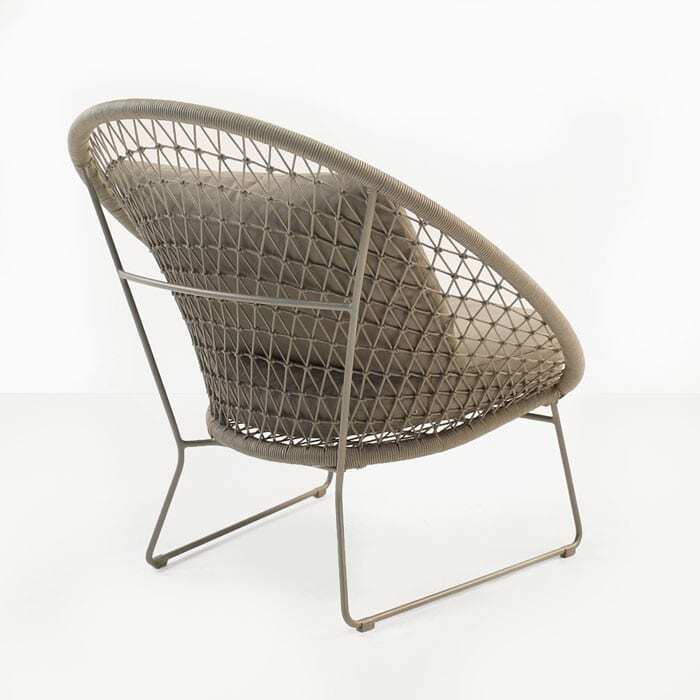 The look and feel will add instant style to your outdoor space. 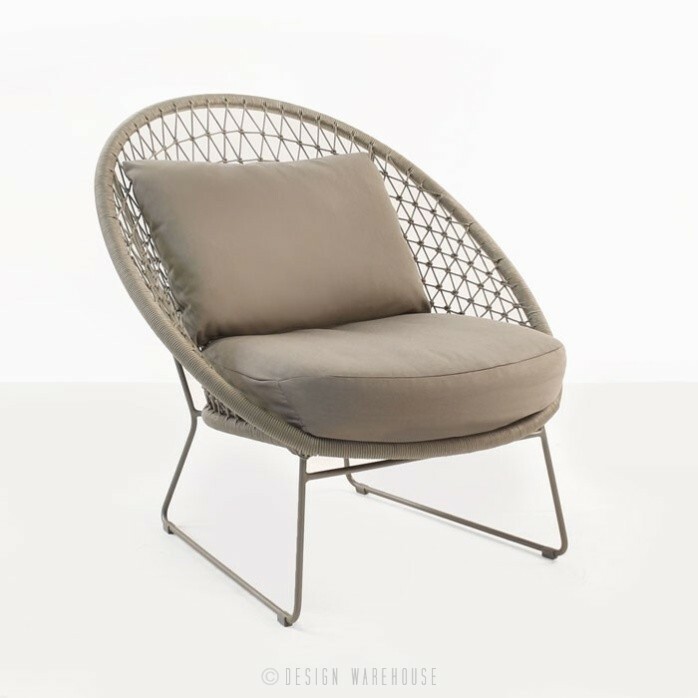 We offer a large range of accent tables that will go well with this chair and help you create an awesome outdoor living space. And remember, all of our products come fully assembled and are available for nationwide delivery.